The Challenge Technique is a powerful way to build a community by engaging your audience and give a boost to your lead generation. Learn the step-by-step process and see how we averaged a 56% open rate on daily emails. Do you want to build a community and grow your list? Lead generation with the Challenge Technique is one of the best methods NOT being used. Trying to build a community around your brand while growing your email list sounds great, but it can be pretty difficult. The problem is that most brands don’t have a platform to effectively capture and engage with their audience. Sure, you may post great content, but the engagement on most content is fleeting and the relationships that those moments generate are as well. The Challenge Technique represents an amazing opportunity to engage with your audience more intimately and for a much longer period of time. It also allows you to build your community and participate in some serious TOFU (Top of the Funnel) lead generation to build your list. PLUS, the 5-step process to make sure your challenge goes off without a hitch. Get ready to build your community and grow your list like never before with the Challenge Technique that excites, surprises, and delights an audience to become lifelong customers. Is your customer or client engagement dropping off? Maybe it never existed? Engagement is a difficult metric to track because it involves so much more than likes, comments, and shares. Engagement is the foundational metric of relationship-building, something that could earn you lifelong supporters and brand advocates (not to mention customers). The Challenge Technique is a challenge to your audience where they commit themselves to take positive action on an activity for a set number of days. If you were the marketing director for a company that sells health-and-fitness products, you might start a challenge at the beginning of the year, right when everyone was making their new year resolutions. You get the picture. You want to give people a challenge to join that gives them an insight into the value and expertise you provide. By joining your challenge, people have a free way to participate in what you offer and experience the value you deliver to your customers. It’s the perfect way to build a community around your brand. You’re giving them an easy way to raise their hand with something they can feel good about completing that doesn’t involve a monetary commitment. Are great for growing your list (aka lead generation) because they draw in new people to experience your value without an upfront financial investment. Provide a community and accountability to achieve a goal. Create a group rallying around an experience at the same time. Create a sense of urgency and scarcity as it’s only for a set period of time and at certain times of the year. Have people waiting (in anticipation) for your challenge. Are great for word of mouth and social sharing—which spreads the word about your brand. Help to create a deeper bond with current and potential customers. Now let’s walk through the 5-step structure for running the Challenge Technique perfectly. One that, if executed correctly, will boost your community engagement, massively grow your list, and develop long-term customer relationships. Building a community around your brand is well within your reach, you just have to take the right steps! The first step is all about planning. This is when you develop the strategy behind your challenge. The success of your challenge—and any action related to building your community—is directly related to your ability to develop an accurate understanding of the problems those your potential customers face and how you can best help them. Who are you serving? Who is it for? How would their life be different if they had the tools and resources to experience transformation in their lives? What is a simple and easy life-changing result that you could teach your audience right now? What does your community need to know before they take part in your paid offer/product/service? It’s important to be able to disconnect from your current understanding of your industry and touch on what it was like when you were first starting out with your company. Before you were an expert in your field, what experience did you need to have or understand in order to be ready to use your product/offering? 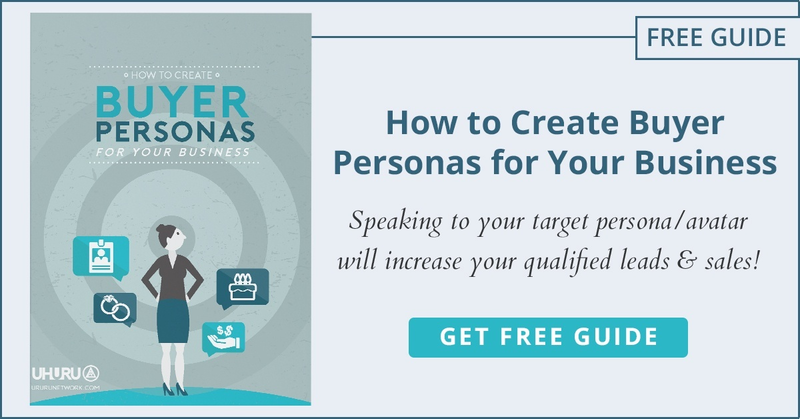 If you haven’t done so already, take the time to create buyer personas and use them to identify the needs of your customers/audience. The next step is all about creating what your challenge is going to look like. Now that you understand the needs of your customers and have buyer personas, you’re ready to make decisions about how to best help them. What kind of challenge will help you build a community that you’re looking for? Your challenge should be all about helping them realize a small but beneficial transformation; one that allows them to better understand the benefits of working with you. What are three simple action steps that they can do to move closer to that transformation? Is it a daily habit that they can repeat? An important thing to remember is to set the length of the challenge for the amount of time it takes to get that transformation. Remember: You’re looking for a small and easy win. Once they’ve made that accomplishment, they’re much closer to taking the next step toward buying from you. The relationship formed through your challenge may be all that it takes to convert them and turn them into a loyal repeat customer/challenge participant. Its much easier to build a community of happy people that feel accomplished. The platform we used to test this tactic before recommending it to clients was Stylishlyme.com, my fashion, travel and lifestyle blog. We ran a 30-Day Fall Outfit Challenge, where we challenged the existing Stylishlyme.com subscribers—and new subscribers—to create a stylish fall outfit for 30 days in October. It started October 1st and ended October 30th. Every day for 30 days at 5 p.m. we sent the community an outfit example they would use to create their own look the next day. We used this challenge specifically to capture, build, and engage with the Stylishlyme.com community. It also served as a way to better understand my audience, as well as foster the relationships that are such an important part of community building. RESULTS: The open rates and engagement for this challenge were exceptional. With a little over 1,000 participants, the challenge welcome email had a 66% open rate (VERY GOOD), the survey response was 52%, and the open rate on our daily email campaigns was an average of 56%. Much higher than the 25-30% we typically received. These stats are more than double the current email open-rate industry averages and, in some cases, triple the average open rate. Thirty days might seem a bit long for some audiences, and it might be for yours, but it was the perfect length to allow us to measure and achieve the goals we had outlined at the beginning of Challenge Technique. In the end-of-challenge survey, we asked the participants if they wanted the challenge to be shorter than 30 days and 94.49% said no. It doesn’t get any better than that! The results from the challenge provided a foundation of confidence in this highly effective community building tactic, which we call the Challenge Technique. The numbers speak for themselves! The third step is vital to the success of your challenge. Your brand may create the most interesting and engaging challenge ever conceived, but nobody is going to participate if they don’t know about it. Email your current list and get them involved in your challenge. Blast your social media followings. Share from a personal Facebook page too! Share your free opt-in EVERYWHERE. Run retargeting Facebook ads to your website visitors. Build Facebook Ads lookalike audiences and target new people. The size of your existing list, social following, etc. The number of participants you want to include. The type of challenge you create. The goal you set for the number of people you want to join the challenge is dependent on your company/product. If you’re selling a high-valued product or service, then maybe 100 participants is enough, because even if 10 move on to be a customer you’ve made a large profit on your time. On the other hand, if what you’re selling is a low-cost, high-volume product or service like a gym membership, getting as many people as you can on the challenge is important for hitting new customer goals. If your Challenge Technique is more, well, challenging, you may have a harder time getting people to sign up. The same goes for challenges that don’t provide enough of a challenge for participants. If you already have a community or list for challenge promotion, you may find your promotion pretty simple. Since you’re reading this because you’re looking to grow your list and build a community, you may not have much of a list or social following for promotional purposes, which just means you’ll have to work a little harder and focus on paid promotional channels a bit more. After you’ve promoted your challenge, it’s time to launch. How often should we contact participants? Depending on the challenge you’ve created for your brand, you may find that it’s important to send emails to the list that has opted in on a regular basis. Whether that frequency is daily, several times a week, or just once a week is something you’ll have to test and determine based on your response metrics. You’ll also need to determine your contact frequency based on how technical your challenge is and whether or not your audience will need support in accomplishing their daily goals with things like tips or instructions. Where should we host our challenge? You may find that the Challenge Technique may work better for your community through a Facebook group, or you can run it from your public Facebook page. Again, you want to build a community and the important thing is to make sure people have a platform to come together as a community. We recommend email and social, in tandem. You’ll want everyone to see the struggles and successes of their fellow participants. It’s a major component to the positive community building. As a challenge is all about participant engagement, implement a rule to engage back! If someone replies to an email or comments on your page, post, etc., be sure to get back to them in a timely manner. Once again, you’re establishing a positive relationship with your brand that will bring them so much closer to becoming a paying customer. Surprise and delight them along the way! Challenge Completion Rates are a key metric and a great way to keep people from abandoning ship in the middle of the Challenge Technique is to offer a giveaway during the period where people would tend to drop off. As you see momentum slowing, tell them about the giveaway they’ll be entered to win at the end of the challenge. Give away one of your paid products at that time too, and preview the product when you announce the giveaway. That way people become familiar with your paid products and, if they don’t win, they’ll be more likely to purchase anyway. As your challenge comes to an end, it’s time to congratulate those that completed the challenge, as well as the people who gave it a try and couldn’t swing it. Remember, it’s all about audience engagement! At the end of our Challenge Technique experiment (30 days), we sent an end-of-challenge survey to get feedback on ways to improve and to get testimonials to use on the landing page for the next challenge. It’s far easier to build a community with challaneges when you can use past experiences to optimize future programs. We used Survey Monkey, but you can use any email survey tool that fits your needs. Don’t neglect to ask your subscribers for their feedback; it not only provides you with tips on what you can do better but it lets them know they are being heard. Do you want the outfit challenge to be shorter than 30 days? What did you like about the outfit challenge? Would you like a private Facebook group? Would you like a professional outfit challenge? What would you like to see differently for the winter challenge? What type of content do you want to receive via email in between challenges? Any other comments or positive feedback you would like to share? Did you reached your goals/make the transformation? What do you want to do next, what are you ready for? What’s the next problem that needs to be solved? Here are a few things to remember when building using the Challenge Technique. Use this checklist to make sure yours is as good as it gets! Meet the people where they’re hanging out (on social media). Your goal is to get people to trust your brand. Audience engagement isn’t about obsessing over data/metrics/A-B testing. Engagement is based on the energy that you’re putting into your community. Share incredible value before asking prospects to visit your site, blog, etc. Earn their trust! Make your free opt-in better than someone’s paid offer. Run your challenge in real time (rather than automating) because of the audience engagement you’ll earn. Think about hosting it in a Facebook group/page or social media platform. Invite old subscribers to participate in the new challenge. Facebook favors challenges (thanks to high-engagement levels), which reduces advertising cost/cost per lead, so advertise. Don’t make it longer than it needs to be. Build it out with the intention of going evergreen (use the same challenge a few times a year). Create automated systems that can be started with the click of a mouse so that you can focus on live engagement. Pick something that is intrinsic to your core brand message. Make it super easy, because small wins go a long way. Send a few dedicated sales emails to sign-up for the upsell over the course of your challenge. Give an in-depth sample of your (paid) product after your challenge ends (e.g. 7-day free trial, discount, etc.). Highlight why people would want to participate in your challenge when promoting it in the future. Use social proof like screenshots from the Facebook group and motivational testimonials. Are You Ready Grow Your List and Build a Community? There you have it! Are you ready to do some serious community building with the Challenge Technique? Is your brain is already buzzing with ideas about the types of challenges you can run? Remember to keep it simple, easy to approach, and fun and fulfilling to complete. Don’t forget, to build a community during a challenge you’ll need to get deeply involved and earn those relationships. You’re prepared for success. Now all you have to do is get out there and get started. Now you have the Challenge Technique.